China’s security focus is driven by concerns about national and religious aspirations in Xinjiang of Uyghurs, an ethnic Turkic Muslim group that has long looked westward toward Central Asia and Turkey rather than eastward towards Beijing. China has sought to radically alter Uyghur identity by introducing a 21st century repressive surveillance state that invades the privacy of Uyghurs and sends tens, if not hundreds of thousands to re-education camps where indoctrination is designed to install Chinese rather than Uyghur nationalist or Islamic values. China’s security focus on Afghanistan and Central Asia is intended to counter Uyghur militants who have moved to the region after the defeats suffered by the Islamic State in Syria and Iraq and the group’s establishment of a base in Afghanistan and the Pakistani province of Balochistan. It also aims, together with efforts to cut off contact between Uyghurs and their Central Asian brethren, to fend off the influence of non-violent Uyghur Diaspora groups who have been resident in Central Asia for decades. The Islamic State threats and migration of East Turkestan Islamic Movement (ETIM) fighters from Syria and Iraq to the Afghan province of Badakhshan raises in China’s mind the spectre of a return to the 1990s, a period of protests and attacks in Xinjiang, when the Taliban government allowed Uyghur militants to operate from its territory. Some analysts argue nonetheless that China is more worried that Uyghur militants operating from Afghanistan may pose a greater threat to the China Pakistan Economic Corridor (CPEC), at US$50 billion plus a Belt and Road crown jewel and its single largest investment, than to Xinjiang. Militants have repeatedly targeted Chinese assets and personnel in Pakistan. At least one Uyghur was involved in a 2016 suicide bombing of the Chinese embassy in the Kyrgyz capital of Bishkek while an Uyghur gunman killed 39 people in an attack on an Istanbul nightclub in January of last year. China earlier pledged US$70 million in aid for Afghan counter-terrorism efforts. The Chinese scholars participating in the ECFR conference said Chinese border control assistance extended beyond the Wakhan Corridor to the Badakshan-Tajik border. China agreed two years ago to fund and build 11 military outposts and a training facility to beef up Tajikistan’s defence capabilities along its border with Afghanistan that hosts a large part of the main highway connecting Tajikistan’s most populous regions to China. China has since stepped up the sharing of intelligence with Tajikistan on issues related to political violence, religious extremism and drug trafficking. The Chinese defence ministry announced in April that China, Pakistan, Afghanistan and Tajikistan would perform joint counterterrorism and training and exercises that focus on real combat experiences. China and Afghanistan agreed last year to lay a cross-border fibre-optic cable that like in the case of Pakistan could pave the way to export China’s model of a surveillance state to Afghanistan. “China will strengthen military exchanges and anti-terrorism cooperation with Afghanistan to ensure security between the two nations and the region,” said Xu Qiliang, deputy chairman of China’s Central Military Commission. Mr. Xu was speaking in December on the sidelines of a meeting of the Chinese, Afghan and Pakistani foreign ministers designed to ease tensions between Kabul and Islamabad and integrate Afghanistan into CPEC. Pakistan has so far resisted sharing CPEC glory with Afghanistan. China hopes that a resolution of Pakistani-Afghan disputes would pave the road to a Chinese mediated resolution of the Afghan war that would allow the Taliban to share power. On a visit to Xinjiang in January, Chinese defence minister Chang Wanquan vowed to “firmly maintain Xinjiang’s stability” and “build an iron wall to enhance border defence.” President Xi Jinping reiterated the need for a “great wall of iron” in March. Greater emphasis on the Belt and Road’s security component would also be in line with Mr. Xi’s assertion last month that China was ready to “lead in the reform of global governance.” China scholar Elizabeth Economy said Mr. Xi’s “ambition is most evident close to home.” Ms. Economy was referring to policy in the South China Sea, Hong Kong and with regard to Taiwan. 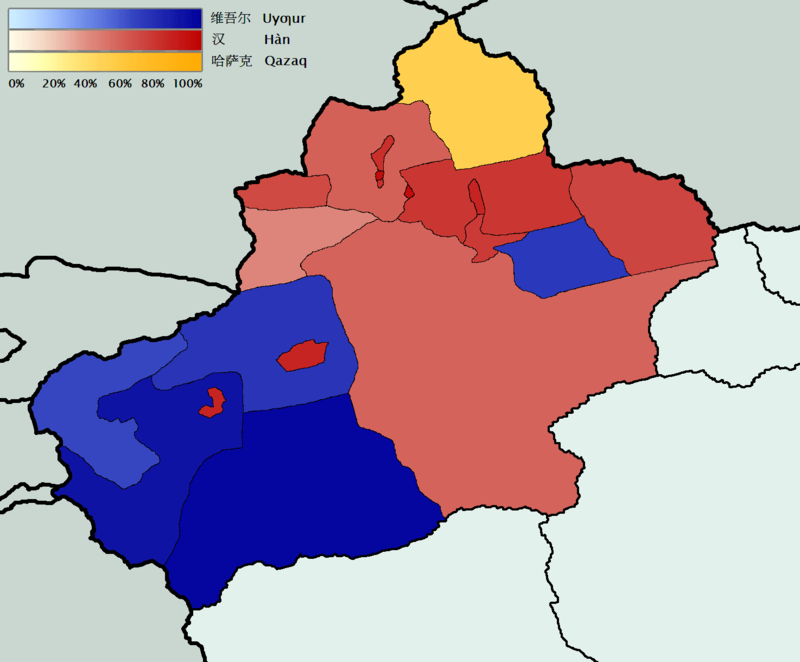 It is becoming equally evident in China’s other near abroad: Afghanistan and Central Asia.